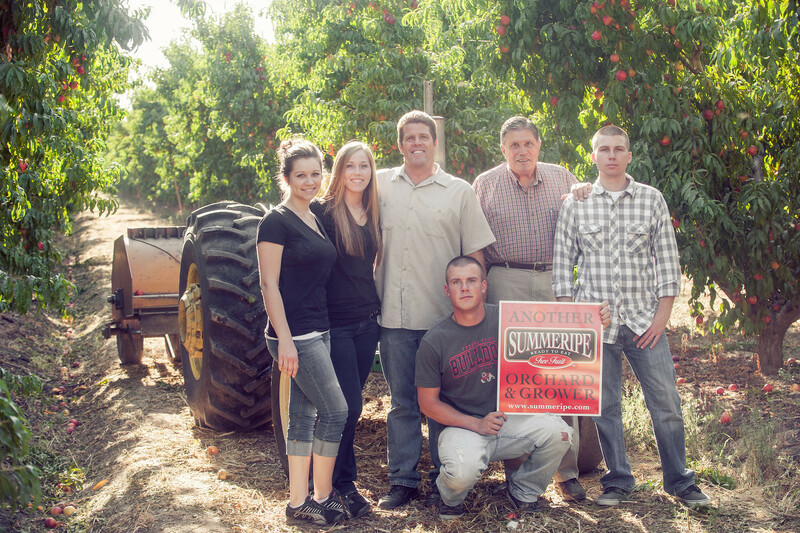 Eric Laemmlen is a third generation farmer in the Central Valley of California. But there is so much more to the story – Eric’s grandfather Rudolf was living in Germany in the early 1900’s. He had a strong interest in farming, and decided to enroll in an agricultural school. After completing his education in agriculture, it was clear that the German economy was struggling, therefore he decided to travel to America in 1925, in search of new opportunities and a more prosperous life. Rudolf returned to Germany in 1928, where he met and married a neighbor girl named Elsa. She had also been abroad to America, and together they made plans to return. In 1929 they landed in San Francisco and made their way to Sanger, then Reedley – where they purchased 30 acres of farm land. Their initial farm included peaches, plums and grapes. This was to be, the start of their new life. Rudolf and Elsa had four sons, they all grew up working on the farm. Eric’s father, Arthur, eventually married and bought the 120 acre farm next-door to Rudolf and Elsa. Eric and his siblings, now third generational farmers learned about packing fruit and working on the farm at a young age. Eric was on the tractor as soon as he was tall enough to reach the clutch. Eric likes to say he has grown up with fruit juice in his veins. One of his favorite memories was hauling fruit to the cold storage when he was just 15 ½, with permit in hand. To stay legal, his mom would ride to the cold storage with him. Farming was a true family effort for the Laemmlen’s. After high school, Eric went on to study at the University of California Davis, specializing in Pomology and Fruit Science. 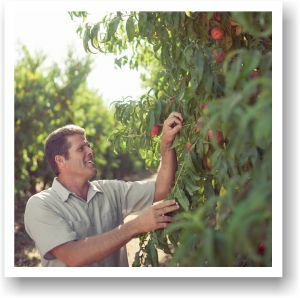 After graduating from UC Davis, he returned to the family farm to work with his father. Eric eventually purchased the original 30 acres from his grandfather, and the journey of farming on his own began. Today Eric farms over 200 acres of Summeripe peaches, plums and nectarines. Eric loves the taste and unique flavor of each variety he grows, however a couple personal favorites would be, the Zee Lady and August Lady Yellow Peach. Farming for Eric has always been a family affair. 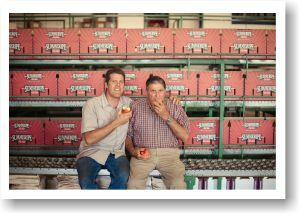 He is proud of his family heritage, and he hopes consumers will see, taste and enjoy the fruits of his families labor. View & Download high-res photos of the Laemmlen Family for use in sales materials, social media and print.